We made these from pallet wood for Funpalace 2017, and then used them at the Share Fair on Saturday. Rather than propping them up against a tree again until the next event we thought we’d attach them to the club hut. 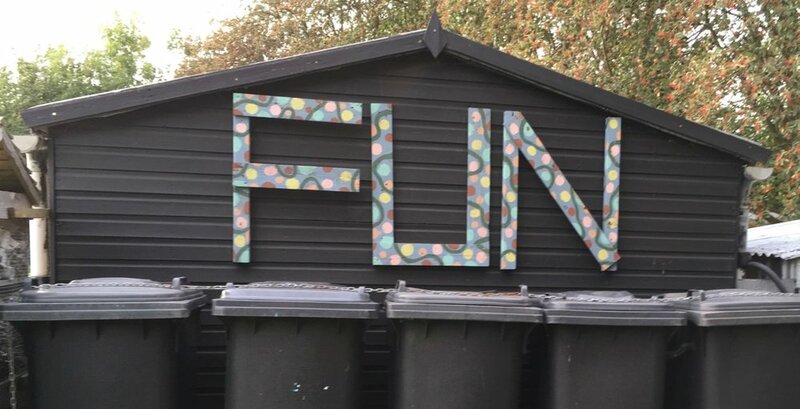 A reminder that the garden is a place of FUN, or at least if you are in the mood… multi-coloured paint (as tester pots) from Cambridge Community Scrapstore.